Direct Line Life Insurance conducted the research throughout Britain and discovered that £227bn had been given to children from 6.9 million mums and dads. A further 19% of parents said they have not yet passed on some of their assets, but plan to do so in the future. The value of the assets varies throughout the regions of the UK, with London parents giving the highest average amount of £119,207. London is also the most likely location for parents to transfer assets to their children. In Scotland, the average amount transferred is £12,495, with 15% of Scottish parents gifting assets to their children to reduce the amount of tax. The families plan to cut down on their inheritance tax, however, may not be cost-effective, as depending on the amount given, a tax could still be charged. The UK allows a yearly gifting allowance of £3,000, but any amount higher than that could still be charged tax. For specialist legal advice on a range of issues, including power of attorney, trusts, and wills, speak with one of our professional lawyers today via the online contact form. 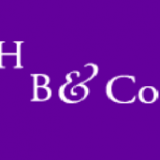 Hennessy Bowie & Co has been practising in Bishopbriggs for some twenty five years, principally in the areas of domestic conveyancing, commercial conveyancing, commercial leasing, executries and matters relating to care for the elderly.